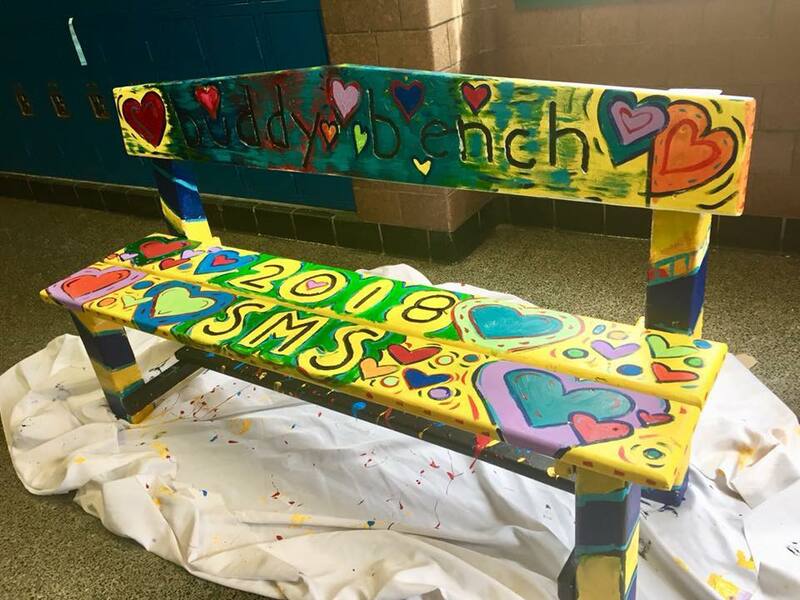 South Middle School Celebrates NECSD Day! 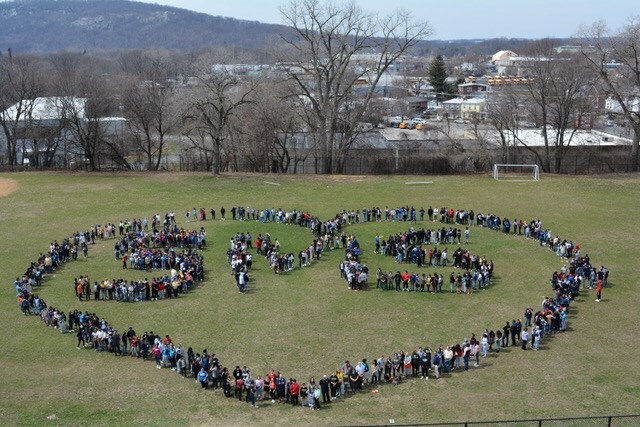 Students from South Middle School spent a few minutes during this gorgeous day to spell out the initials of their school encompassed by a heart! 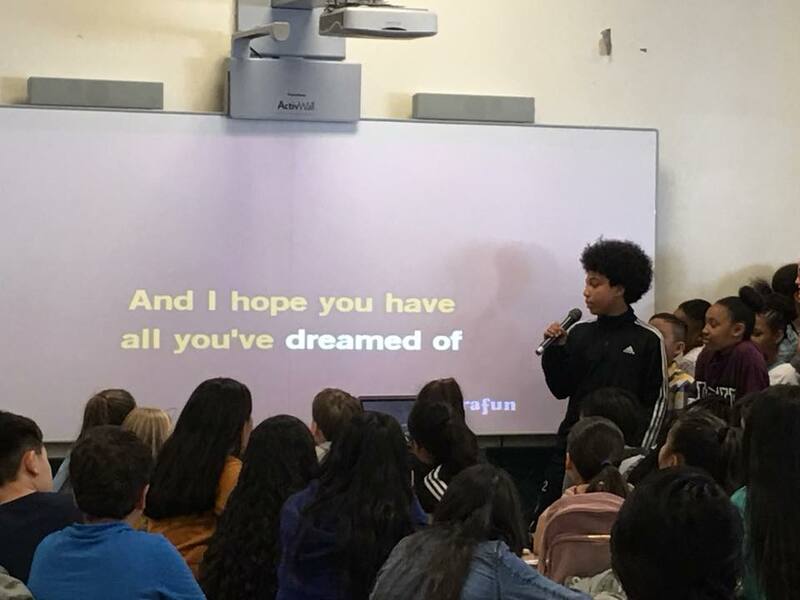 At lunch time, students had lunchroom karaoke! 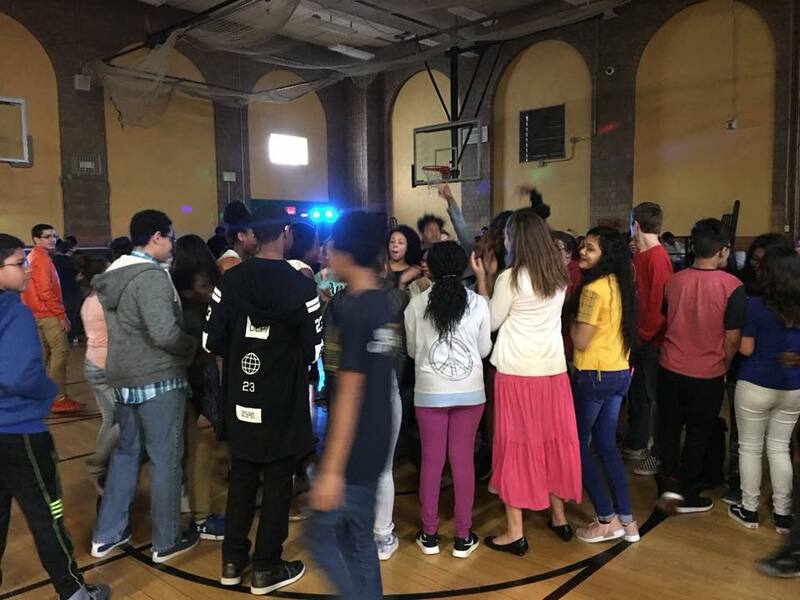 In the afternoon, there was a dance party! 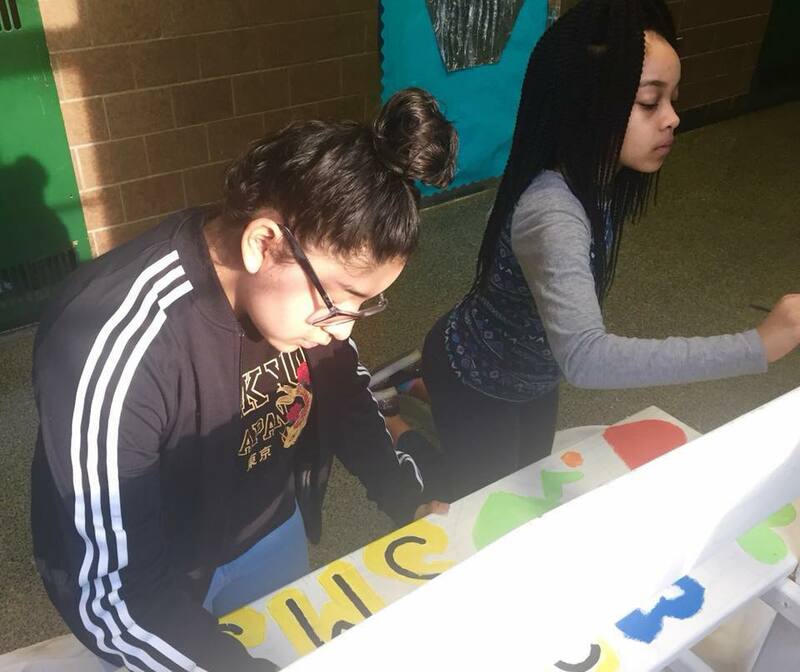 Prior to NECSD, South Middle School held an essay contest that challenged students to write about why they would be a good administrator for the day. 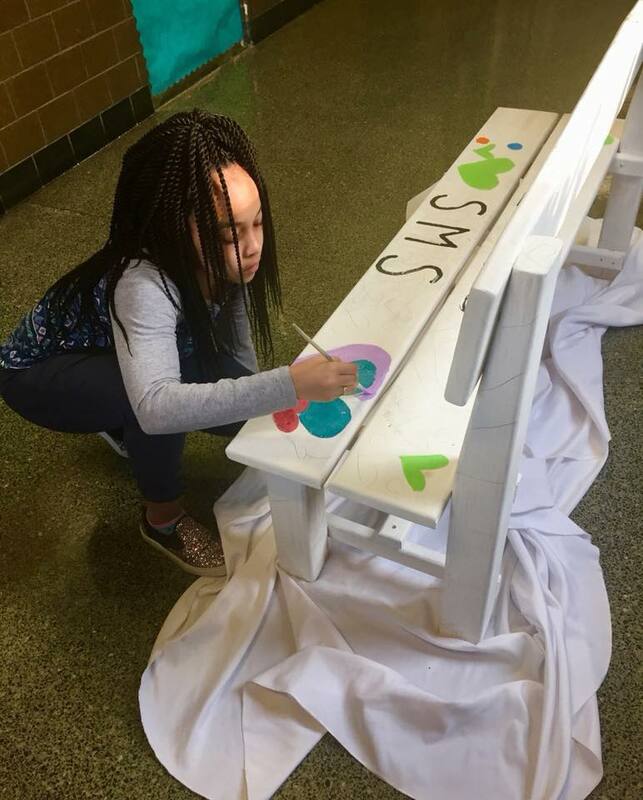 A student was selected for each grade level assistant principal and for the building principal position. 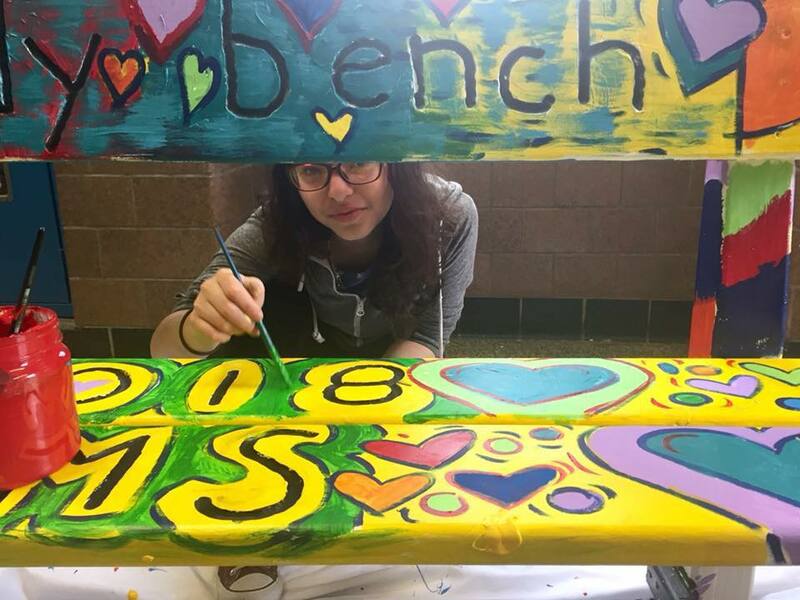 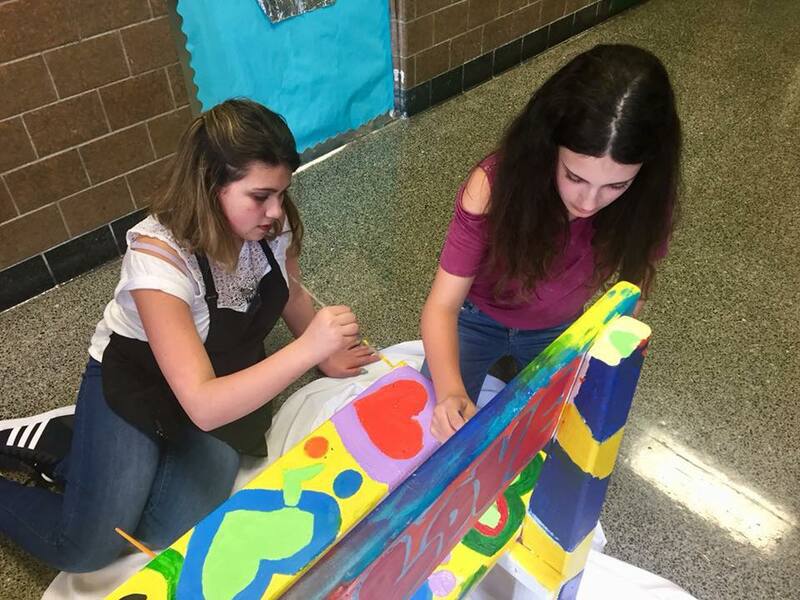 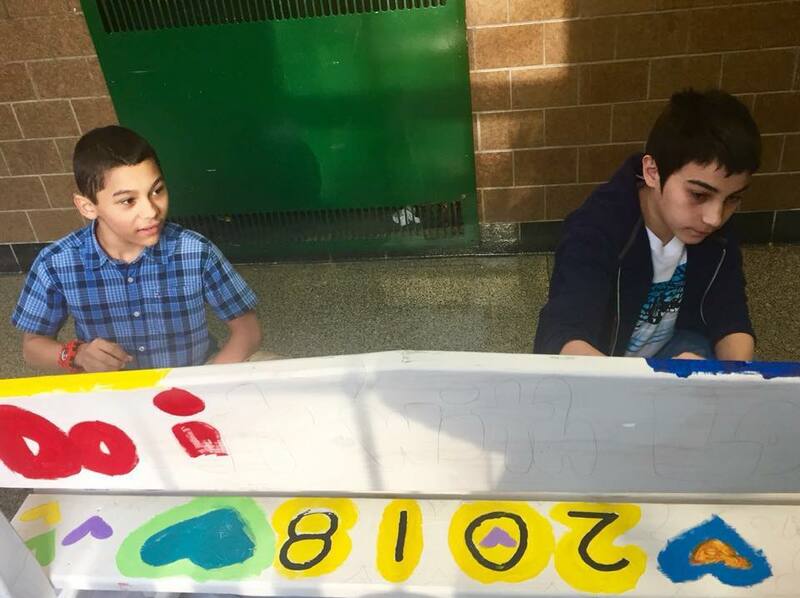 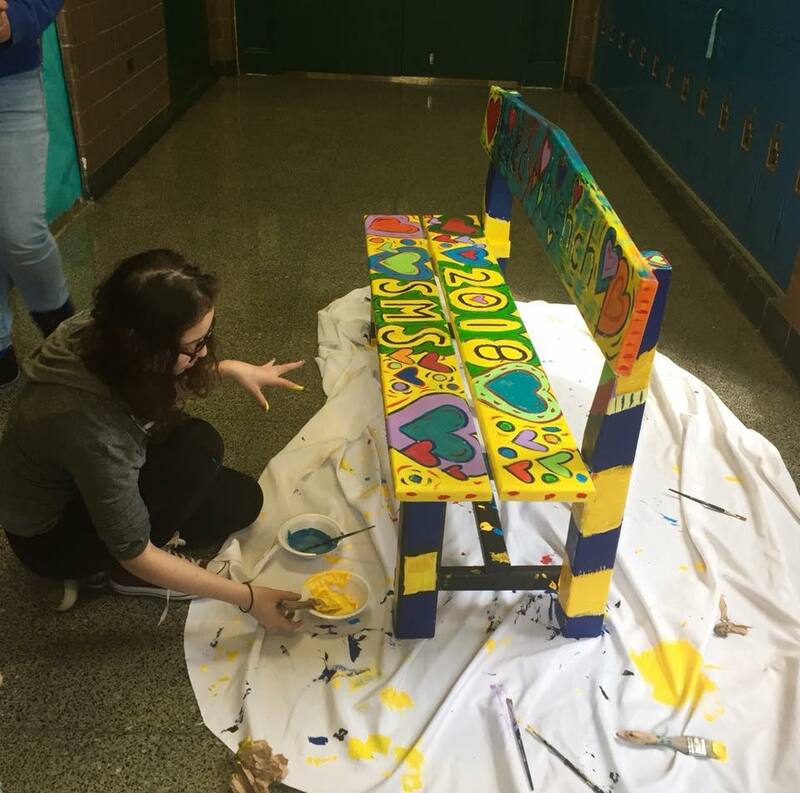 Throughout the day, students painted images on their “buddy bench.” Each school throughout the district received a buddy bench, constructed by students in the Construction Academy at Newburgh Free Academy, Main Campus. 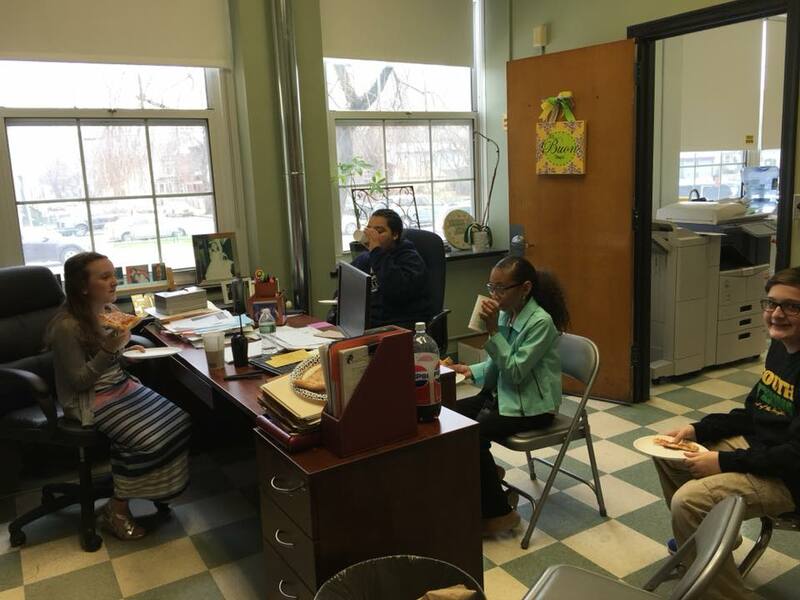 Student Principal and her admin team running the school and discussing their day over lunch! 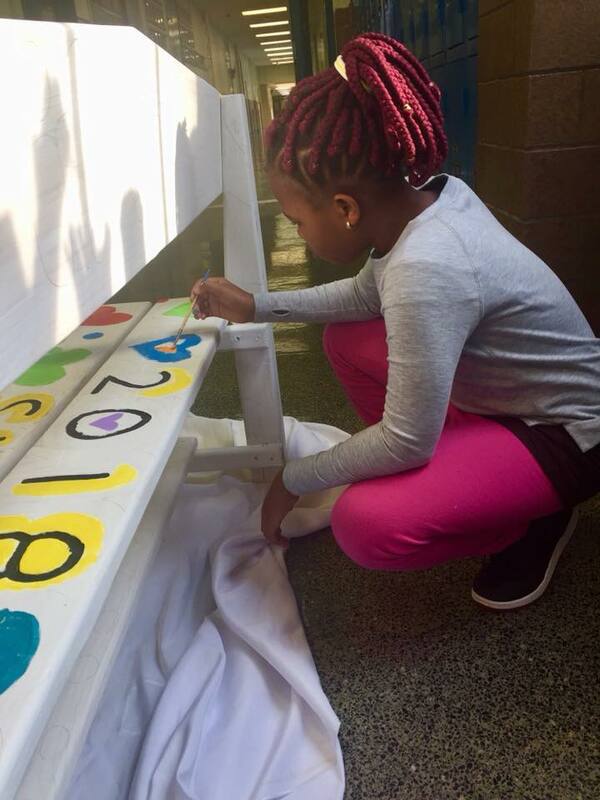 Quote from a 6th grader, “This is the best day of school I’ve ever had in my life!” Amazing staff and students doing it with love and hope!